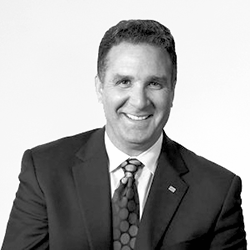 Ken Macias is the President/CEO of Macias Consulting Group, Inc. (MCG). He has worked in public accounting for over 38 years and has earned national recognition along the way. Ken has been appointed to several national and state accounting and auditing related positions -- including AICPA Board and the prestigious AICPA Auditing Standards Board. He was also appointed to the AICPA Diversity and Inclusion Commission. Ken was recognized as one of the Top 100 CPAs in America by being appointed to the prominent “AICPA Group of 100.” Additionally, he was featured in California CPA Magazine (June 2002) “Because Trust Matters” and the Journal of Accountancy (December 1995) "Grant Specific Audits." Ken has earned several degrees including a B.S. Business Administration and a M.S. in Accountancy and Taxation from California State University, Sacramento; a M.B.A. in Finance from Golden Gate University, San Francisco; a M.P.A. in Management and a Doctorate in Public Administration (D.P.A.) degree from University of Southern California. Bob is a seasoned business process and organizational improvement consultant with over 30 years of experience serving a broad range of public sector clients. Mr. Gill has a strong background in facilitating organizational development and training activities as well as re-engineering business processes. He has successfully worked with a broad range of clients. Bob has considerable experience with leading public-sector consulting firms in a variety of State and local government engagements. Additionally, he has taught numerous performance-related course sessions for both the University of Phoenix and the U.C. Davis Extension. Mark's dedication to serving his community includes his involvement as a member of the Board of Directors and Finance Committee of OneOC, the Audit Committee Chair of the Starlight Children’s Foundation, as well as a volunteer referee for Orange County Youth Soccer. 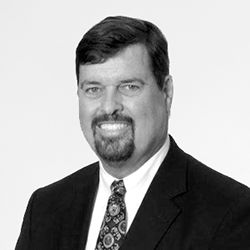 Mark has worked in public accounting for over 20 years and is a well-respected member of the accounting profession. Mark has provided financial statement and compliance audits to not-for-profit organizations, institutions of higher education, and local governmental entities. He brings expertise in delivering quality professional audit services to large, complex client groups and has specialized in working with organizations with substantial investment and endowment activities, including those with significant alternative investment portfolios such as the Bill and Melinda Gates Foundation, the Tiger Woods Foundation, and the J. Paul Getty Trust. He also brings extensive experience in conducting OMB Circular A-133 audits, and has served as the lead senior manager on the California State University System Single Audit, which includes federal expenditures in excess of $2 billion. Dina Holinka, CPA brings over 17 years of experience assisting her clients in resolving accounting and business issues. Dina previously worked at MGO and prior to that with a Big Four firm, focusing on nonprofit and government services. Dina has strong analytical and interpersonal skills and has proven to be a great year round resource for her clients. She possesses strong GAAP, GAAS, and GAGAS expertise, including in engagements in accordance with FAR and 2 CFR Part 200. Her experience includes consulting and assurance work for various types of for profit and nonprofit entities including contribution based, fundraising and membership organizations, higher education and special purpose governmental organizations. Dina has extensive experience in external audit, operational and internal control reviews. Having clients in audit and related consulting services for over 17 years, she has used her accounting knowledge to assist organizations in evaluating and updating their internal controls, specifically focusing on accounting and compliance operations. Martin is a CPA with over 31 years of experience and extensive audit management and supervisory skills in local government specializing in the areas of audit, investments and cash management. Having served in a variety of audit roles with Deloitte Touche and Macias & Gini, as Audit Manager and Managing Director respectively, Martin is familiar with the best practices and internal controls of local governments. Christine has recently joined our team to help us with our marketing efforts--implementing new designs, updating our website and executing proposals. A dynamic creative strategist with ten years of experience in marketing, she brings with her a broad toolkit of business development skills. Tina has many years of experience working with CPA and consulting firms. Prior to joining us she worked at MGO for over 14 years. A dedicated expert in customer service and getting to know and serve our clients. Tina is originally from Oregon and is a huge Ducks fan!